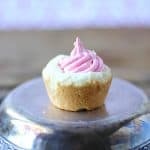 Although the ingredient list is simple, this Strawberry Lemon Cookie Cup is especially delicious! 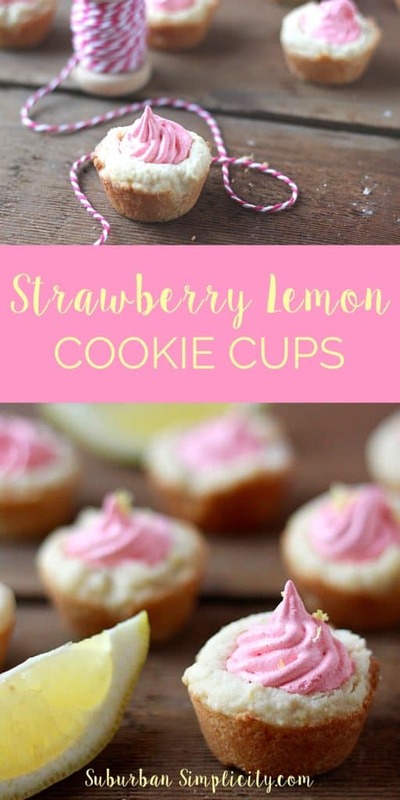 With its sweet, buttery taste, soft chewy texture, and exceptional strawberry lemon flavor combination , it’s a true winner. Hi! It’s Erin from Suburban Simplicity. Spring is in the air, which means summer is right around the corner! I’ve been in a baking mood lately. Recently I made these Amazing Oatmeal Butterscotch Cookies. 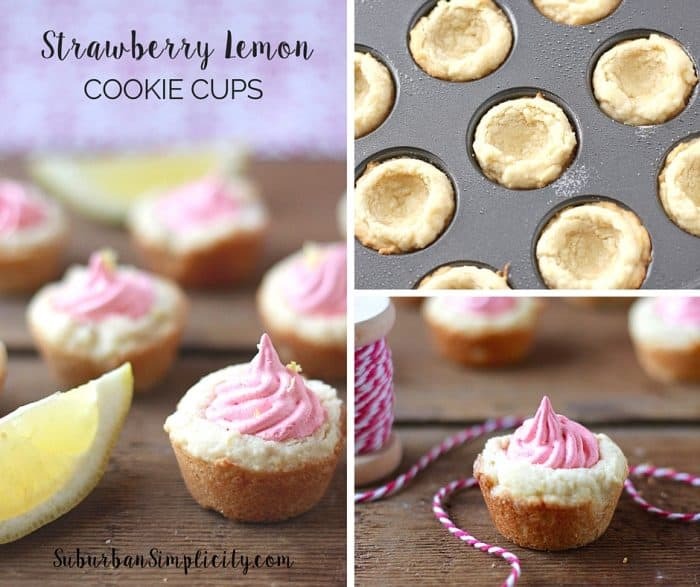 But with the warmer weather on its way, I thought I’d share this cool recipe for Strawberry Lemon Cookie Cups with you all – it’s great for picnics and parties. 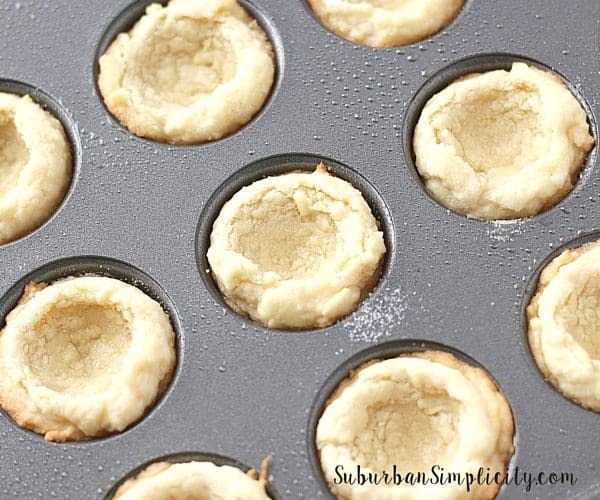 It’s so easy to drop the dough into the mini muffin tin to make the cookie cup, but looks like it takes way more skill to make. Your guests will be impressed! It’s also easy and kinda fun to press down the middle once they come out of the oven. Give it a minute or two before you start, since they are so hot! A spoon or your fingers work well to depress the center. Make sure the whipped topping is fully thawed before combining with the gelatin. 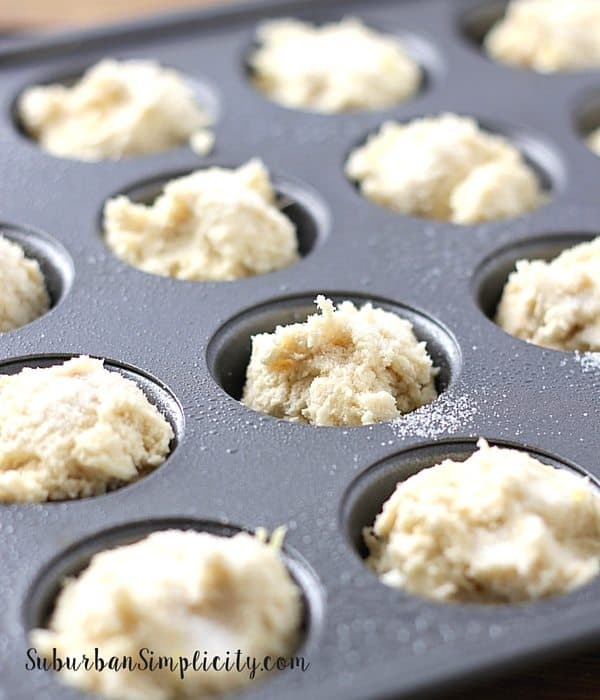 And let the topping sit for a few minutes to allow the gelatin to set before pipping into the cookie cups. This recipe has so many fun variations. You can totally try different gelatin flavors to vary the topping however you want. 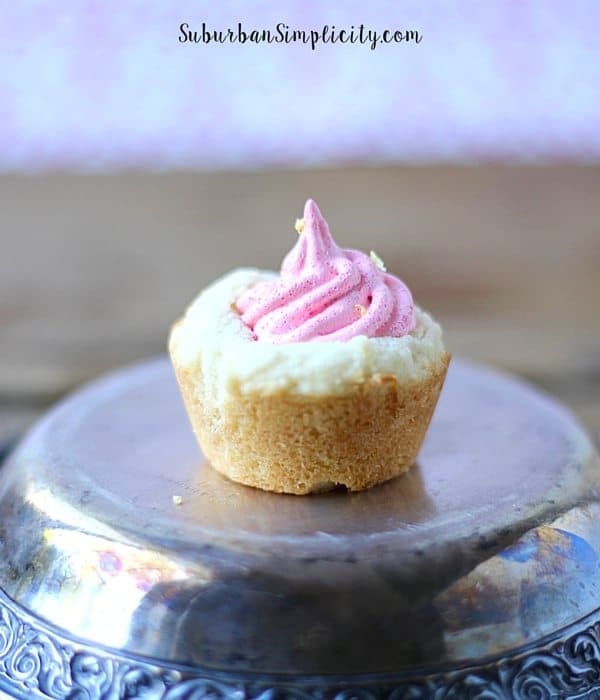 How cute would it be to do raspberry, blueberry, and white chocolate for the 4th of July?? 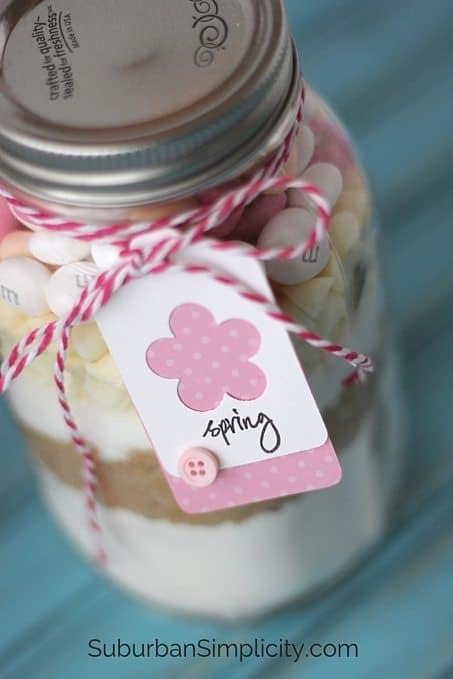 If you’re looking for another springtime treat that’s easy to make, try these Cookies in a Jar. As an active mom of 4, I have a houseful of ideas & inspiration to share! I’d love for you to follow along with all my crafting, baking and project making adventures on Pinterest, Facebook, Twitter or Instagram or come over and be inspired where it all happens – Suburban Simplicity.